Given the state’s varied geographic climates, there is usually a location with prime conditions for playing golf in California no matter what time of year you plan to visit. During winter months, you can head to the desert, where the peak golf season is November through April and where there are over 100 courses within an hour’s drive of Palm Springs. During other months, when the desert’s heat can be oppressive, the weather is quite likely perfect in northern California’s mountain areas (Shasta, Lake Tahoe and the northern Sierras), the San Francisco Bay Area and all along the Central Coast. Southern California’s weather is considered perfect year-round for golf. Nine California golf courses scored in Fairways and Greens magazine’s “Top 18 Courses on the West Coast” competition. There are some truly spectacular courses in the state! And, while ocean views can be quite expensive in places like Pebble Beach (with green fees around $400 and a lodge stay required to secure a tee time), more reasonably priced ocean view alternatives exist at some North Coast California golf courses: try Links at Bodega Harbour and Sea Ranch Golf Links. Regardless of where you decide to play, you should book your tee times in advance. Some courses charge a premium for reservations more than a week or two out, but it’s usually worth an extra few dollars to reserve your preferred time. 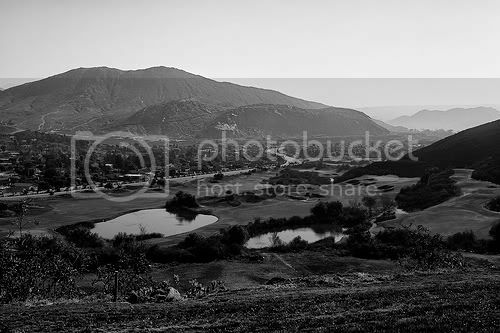 Photo of Oak Quarry Golf Course by Exhibit A via flickr (Creative Commons).